Happy August, loves! 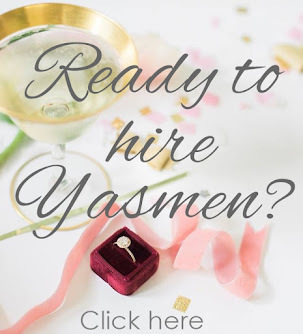 I started a new series over here at Yasmen Katrina Events called “What does a wedding planner do?” Over the next few weeks, you’ll see updates of different services that we provide that can ensure your wedding day is beautiful and blissful. Budgets: ugh, that unfriendly word! They tend to make people feel squeamish, and it’s often difficult to talk about money with people. So, when it comes to your wedding planning, think of your wedding planner like your accountant or financial adviser. You can’t keep money secrets from them! Let me begin with: it’s important to know that we aren’t here to judge. We have couples whose budgets range incredibly, and their services range, also. We just want to ensure that you do the most with your budget, and that the process is fun for you! Once you’re engaged, all the fun parts begin: the dress shopping, the parties and the venue scouting. Who doesn’t love dreaming up their wedding at different locations? I know we sure do! BUT, before you make any important wedding and financial decisions, invest in a wedding planner who will help you organize your budget. Think about it: would you buy a home without consulting your bank? Weddings are an investment. Wouldn’t it be great to have an expert in your corner making sure you spent your money wisely? So, with that being said, before you select the venue that you should hire a wedding planner. We’ll sit down and talk with you about your budget, break it down by categories and put precedence on your non-negotiable's. Then, we’ll help narrow down the venue list to stay within your budget. More often than not, that’s where you’ll be spending the most money, so it’s important to choose the right place. Sometimes there are hidden costs that you don’t realize. Maybe you fall in love with a venue, and sign right away, but then you realize they have a preferred vendor list and every vendor is at the top or more than your budget. Or you realize that one venue offers tables and chairs, but the other does not. Unfortunately, it’s not always apples to apples when venue scouting. 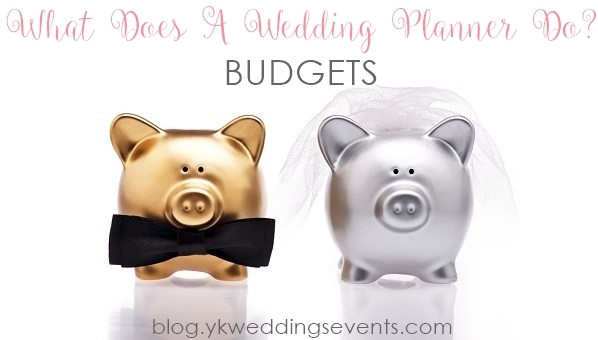 Or once you add in your other priorities for the wedding, you need to spend a little less on the venue. 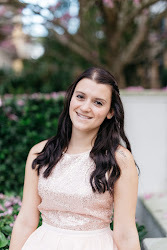 We’ll sit down with you and walk you through not only your budget, but Chicago wedding averages for different vendors. Lastly, we’ll manage the budget for you. Did you end up spending less on the dress than you thought? Awesome; now you can spend more on that ceremony floral arch! We’ll constantly check in and update to make sure that you’re staying on track. P.S. You don’t need to be a full service YKE client for this service. There is a reason all of our clients receive custom services.